The global direct-to-consumer (DTC) genetic health testing market is projected to more-than-triple over the next five years from $99 million this year, according to Kalorama Information. 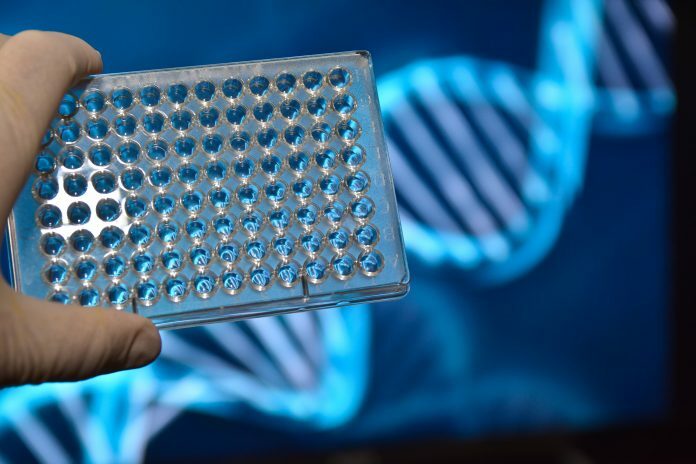 In a new report, The Market for Direct-to-Consumer Genetic Health Testing, the market research firm projects that the DTC genetic health testing market will grow an average of 25.6% each year, expanding to $310 million by 2022—a figure that does not include paternity testing. That growth, Kalarama said, reflects increasing consumer demand for greater control over their own healthcare. Since the 1980s, consumers have pressed for access to lab tests, until lately encountering resistance from providers and regulators over concerns that consumers may try to diagnose themselves with limited understanding of the information. Over the past decade, according to the report, the increased use of the Internet for medical information has helped consumers evolve from patients to more knowledgeable medical consumers—changing the nature of the doctor/patient relationship as individuals gain knowledge and seek to act on it by exerting greater control over their personal information and treatment decisions. Kalorama said another driver in DTC growth is the growing cost-consciousness of healthcare consumers due to greater use of high-deductible insurance plans. Consumers are more likely to ask more questions, do their own research, and collaborate with their doctors about medical decisions, tests, and treatments, the report added. “Strong growth is expected through the forecast period due to easing of the regulatory process for DTC genetic tests,” Mary Ann Crandall, an analyst for Kalorama Information, said in a statement. Genetic testing stretches back to the cancer assays introduced in the 1970s, and has since expanded to other illnesses, with the data collected from those tests providing clues to the conditions of their ancestors, prompting consumers to learn more about their own predisposition for certain diseases, Kalorama said. Companies that provide such testing offer a broad range of services, such as predicting adverse reactions to specific medications, estimating susceptibility to various complex diseases, and diagnosing predominantly genetic disorders. Consumers have also been encouraged to pursue genetic testing through the passage of the 2008 Genetic Information Nondiscrimination Act (GINA), which bars discrimination by health insurers and employers based on genetic testing results. During 2013-2015, the FDA established guidelines for DTC autosomal recessive carrier status testing. The guidelines enabled companies to add autosomal recessive carrier status tests to their offerings when using FDA-approved sample collection processing devices. Last year, the FDA authorized 23andMe to market 10 genetic health risk reports—four years after the agency ordered 23andMe to stop selling its Saliva Collection Kit and Personal Genome Service (PGS), insisting that the company first obtain clearance or approval from the agency. The report cautioned, however, that ethical dilemmas remain a challenge for the DTC genetic testing industry, specifically the interpretation and use of test results. Many DTC genetic testing companies have sought to address the concern by retaining onsite genetic counselors to interpret results and answer consumer questions. “However, demand by the consumer to unlock their genetic health information will likely triumph over the adversities,” Crandall added.